From the Michele Cape Collection. From a lunch date to a weekend afternoon of downtown shopping, this colorful watch will add a perfect pop of radiance to your ensemble. Stainless steel case. Adjustable ivory silicone strap with embossed brand logo. Traditional pin buckle closure. Luminous three-hand analog display with quartz movement. Ivory sunray dial face with 11 Yellow topaz hour markers. 11 stones total 0.04 ct. Dial ring features brand name. Crystal K1 mineral window. Faux bone/horn bezel. “MW” logo cabochon crown with integrated crown protection. Splash resistant 5 ATM/50 meters. Presentation box included. Imported. This item may ship with an attached security tag. Merchandise returned without the original security tag attached or a damaged tag may not qualify for a refund. Measurements: Case Height: 37 mm Case Width: 37 mm Case Depth: 10 mm Band Width: 17 2⁄5 mm Band Circumference/Length: 9 in Weight: 2.2 oz This Amazon-exclusive Cape charms with a bone wear-anywhere silicone strap and a silver-white sunray dial with genuine honey topaz indexes. 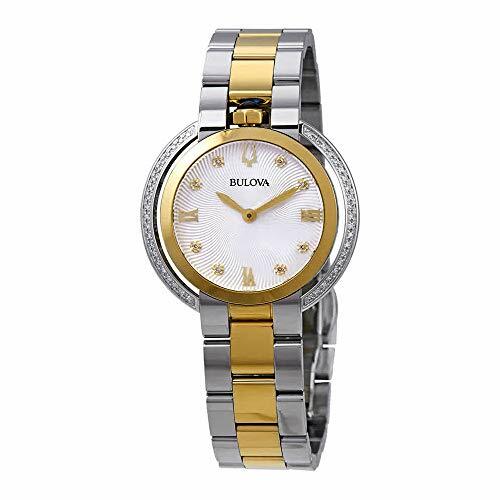 From Bulova’s Rubaiyat collection, this beautiful timepiece is sure to add an elegant touch to your favorite ensembles. 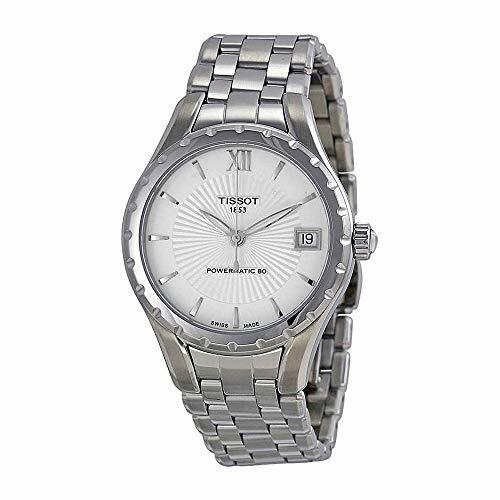 Built in two-tone stainless steel for durability, this watch features a textured silver white dial that is hand-set with round diamond indices. Additional round diamonds sparkle along the outer-rim of the case, setting the brilliance of this watch a step above the competition. Completing the watch’s classic design is a synthetic blue spinel cabochon crown at the 12 o’clock position. 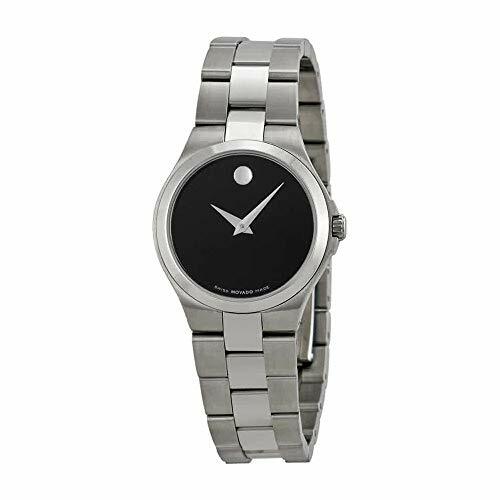 Polish off your look with the Movado® Bold watch. 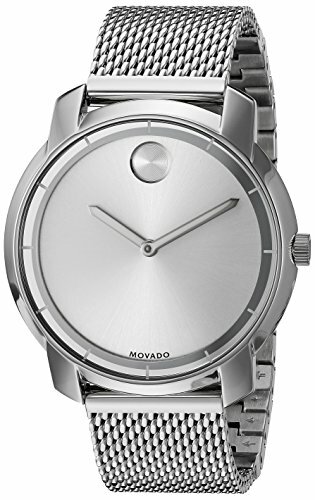 Thin 36 mm round stainless steel case. Stainless steel mesh-link bracelet with back sized mesh-textured links. Silver-tone dial face with matching silver-tone sunray dial, and hands. White hour indexes at the perimeter. Stainless steel case with a stainless steel bracelet. Fixed stainless steel bezel. Silver dial with silver-tone hands and index hour markers. A Roman numeral marks the 12 o’clock position. Minute markers around the outer rim. Dial Type: Analog. Date display at the 3 o’clock position. Automatic movement with an 80-hour power reserve. 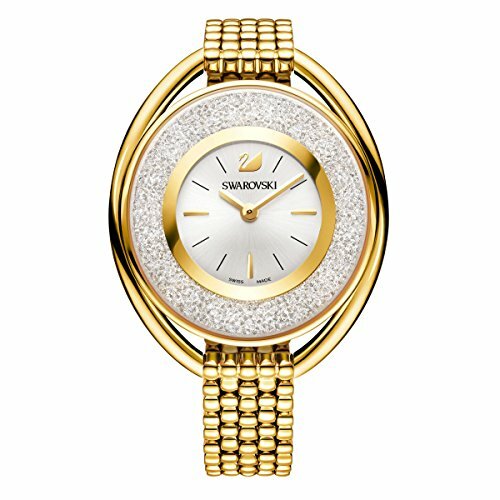 Pair up your favorite jewelry pieces with the dazzling details of the Michael Kors® Darci watch! Crystal-embellished, stainless steel bracelet with fold-over, double push-button release. Crystal-embellished dial features rose gold-tone hands and Michael Kors detailing. 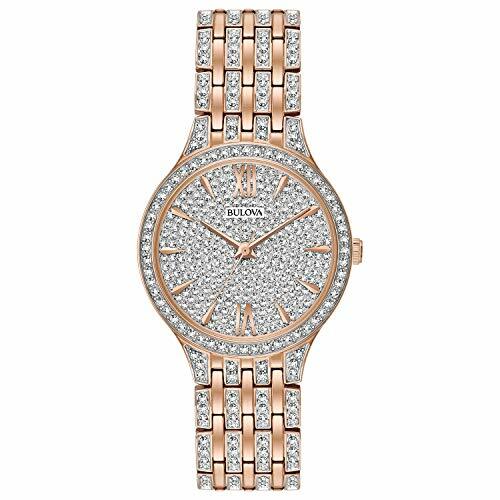 Bulova 98L235 Crystal women’s watch features a 32mm wide and 7mm thick two tone rose gold ion plated solid stainless steel case with Swarovski crystals accented fixed bezel and textured push-pull crown. Bulova 98L235 is powered by a quartz movement. 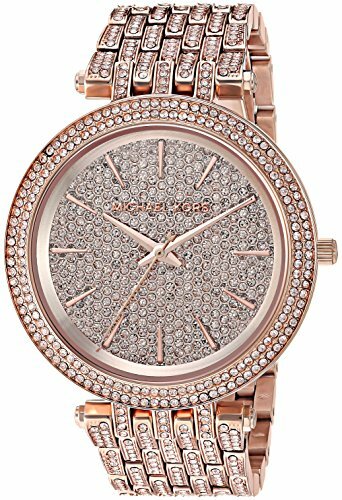 This beautiful watch also features Swarovski crystals accented textured shiny silver tone dial with rose gold tone luminous hands and index hour markers, scratch resistant mineral crystal and water resistant to 30 meters. Bulova 98L235 is equipped with a 20mm wide Swarovski crystals accented two tone rose gold ion plated solid stainless steel bracelet with a double deployment clasp. 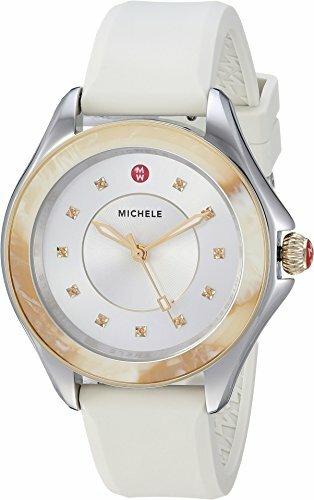 Add a playful, sporty vibe to your adventurous ways with the Michele® Deco Sport White watch. 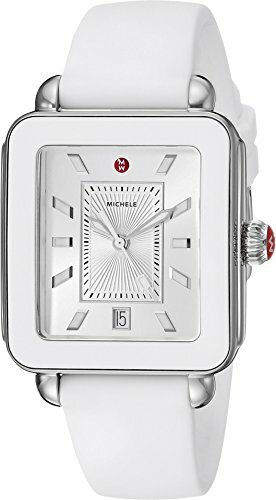 Strap is interchangeable with any 18mm Michele watch straps or bracelets.